We are very excited to introduce the 14 cohort (or group) of our Learn to Earn scholarship students, studying at ILSC-New Delhi. As you may know, the Learn to Earn program provides English training and education designed to support disadvantaged women in India. The program, which began in 2010, just surpassed 100 graduates and we couldn’t be more proud. As a new group of talented, motivated and energetic young women join the ILSC family, we wanted to take some time to introduce a few of them and learn a bit more about their dreams and goals. Mamta is 18 years old and lives with her parents, two sisters and a brother. Her mother is a housewife and takes care of the family. She has successfully completed a course in graphic design but needs to develop her communication skills, which is one of the key requirements to get a job. She loves reading in her spare time. They manage to live on the income from her brother who works as delivery boy and her sister who is a teacher in a local elementary school. 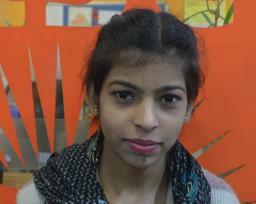 While at ILSC, Mamta hopes to improve her confidence and finally land her dream job as a graphic designer. Parmita is eager to start at ILSC and was ecstatic to hear she was selected for the Learn to Earn program. She has goals to work as a social worker and help other orphans like her when she completes her masters, but for now, she is ready to focus all her efforts on the LTE program. In her spare time Parmita loves to read books. 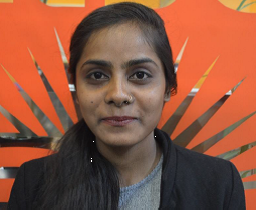 Parmita is excited to improve her speaking skills and confidence at ILSC. She considers this LTE program an excellent opportunity for her to excel and fulfill her dreams! 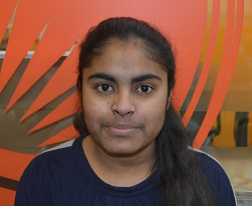 Divya is 18 years old and is currently in her first year of a Bachelor of Commerce degree. Divya lives with her father, mother and two sisters. In her spare time, Divya enjoys playing badminton. She is a focused and an enthusiastic learner and after she completes her schooling, aspires to be a bank manager. 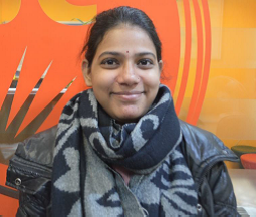 Divya is very excited to be at ILSC since she wants to improve her English-speaking skills. We are very much looking forward to having Divya on our program to help her reach her career goals. Komal is a 19 year old, is extremely friendly and in her first year of a BA program at university. She lives in Delhi with her parents and her two brothers. Her mother is a beautician and her father works as a supervisor. Komal is an enthusiastic learner. While at ILSC she hopes to improve her English-speaking skills and develop her confidence in communicating every day. In her spare time Komal enjoys dancing and reading. Like all our LTE students, Komal wants to be financially independent. We hope that at ILSC we can help her find a career that interests and motivates her.